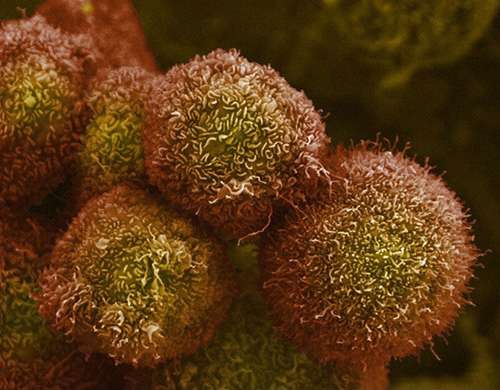 The Lustgarten Foundation and Stand Up To Cancer (SU2C) said they will commit an initial $25 million into a new partnership aimed at generating further research into, and ultimately new treatments for, pancreatic cancer. The Pancreatic Cancer Collective said it aims to innovate and accelerate research into the disease. Its priorities include catalyzing new collaborations by attracting additional partners, leveraging artificial intelligence (AI) approaches; improving and developing new diagnosis and treatments for pancreatic cancer; and supporting early-career pancreatic cancer investigators. The Collective builds on a six-year-old collaboration between the Lustgarten Foundation and SU2C that has funded more than 170 investigators across 28 leading research centers in both the U.S. and the U.K. These efforts include four research “Dream Teams,” and five research teams, including two “convergence” teams bringing together computational experts with clinical oncologists. In October, SU2C joined with the Lustgarten Foundation, LUNGevity, and the American Lung Association to announce a total $16.6 million in grants to the four Dream Teams toward studies of pancreatic and lung cancers. Of the two Dream teams focused on pancreatic cancer, the SU2C-Lustgarten Foundation Pancreatic Cancer Interception Dream Team was awarded $7 million for a genetic screening project designed to test the family members of 2,000 people who already have pancreatic cancer for their own risk of developing the disease. The other Dream Team, the SU2C-Lustgarten Foundation Pancreatic Cancer Interception Translational Research Team, received $2.6 million to test new and intensive preoperative treatments to allow more patients to achieve a complete resection and eradicate micrometastatic disease. The Collective has named two scientific leaders: Phillip A. Sharp Ph.D., a Nobel laureate who chairs the Stand Up To Cancer Scientific Advisory Committee (SAC); and David Tuveson, M.D., Ph.D., a SAC member who is Chief Scientist for the Lustgarten Foundation, director of the Cold Spring Harbor Laboratory (CSHL) Cancer Center. The Collective said its first request for applications (RFA) will seek projects focusing on preclinical development research to increase the number of innovative and effective therapies to treat pancreatic cancer. The RFA is open to teams currently supported by SU2C and the Lustgarten Foundation, as well as researchers and institutions new to the organizations and the Collective. Based in Woodbury, NY, the Foundation is the nation’s largest private funder of pancreatic cancer research, directing $154 million since its inception to research efforts. SU2C is a division of the Entertainment Industry Foundation (EIF), a 501(c)(3) charitable organization, that was established in 2008 by film and media leaders to promote cancer research, and raise awareness of both cancer prevention and research progress. SU2C funds research proposals reviewed by its scientific partner, the American Association for Cancer Research (AACR), and the SAC. SU2C’s Council of Founders and Advisors includes notables such as Katie Couric and Sherry Lansing, the onetime movie studio executive whose eponymous foundation funds cancer research.